All proceeds go to the orphanage "Destined To Live The Good Life" in Kiwe, Zambia. Purchase a Bracelet; FEED, Clothe, and Shelter an Orphan Child. 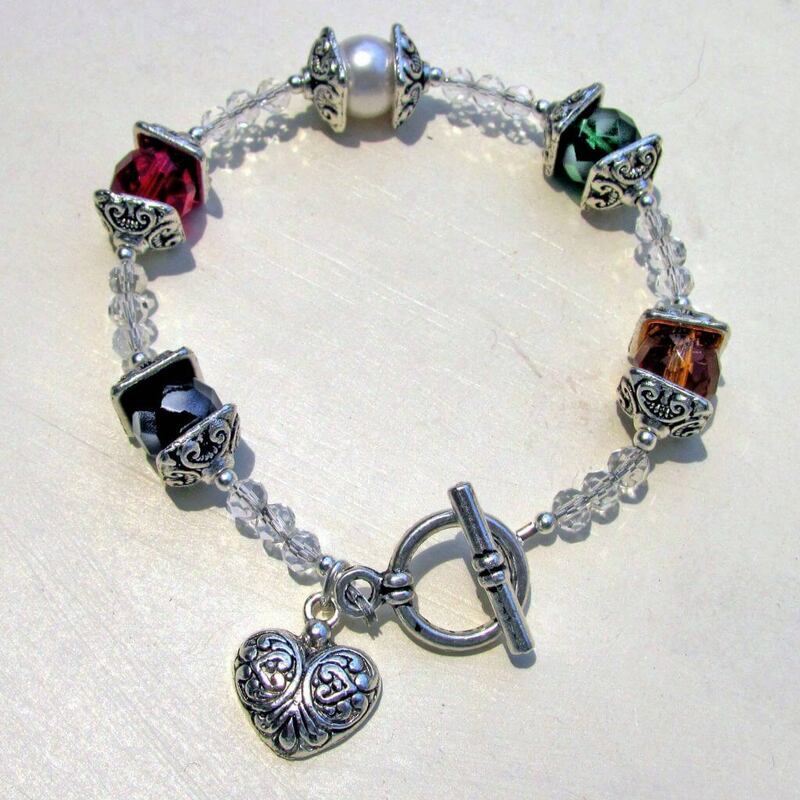 A beautiful uniquely designed bracelet for only $25.00 includes S & H and the postcard below. Silver plated pewter…and REAL Czech Crystal beads. Colors represent the Zambia flag. Black…people of Zambia…Red..price they have paid for their freedom…Green for their vegetation. Orange (gold) for their copper mines & minerals…Heart represents…Jesus’ heart for the children…and the Pearl…Future hope for the children. Absolutely gorgeous and coordinates with everything. Purchase a bracelet to support a child. Envisioned by God and handmade in the U.S.A. by Helen Hanna and Charlene Hopkins. Thank you!